A great homemade juice that will give popular juices a run for their money, including juicy fresh cherries from a local super center and a bucket of tastefulness. As much as i enjoy making homemade Kompot, I love kecil even more. You can also see another version at alyonascooking.com ! Ingredients: 1.) Place cherries into a saucepan. 2.) Add water to the sauce pan. Cook to boiling temperature. Reduce heat to low. 3.) In a bowl add potatoes starch and water , mix together well until starch is dissolved. 4.) 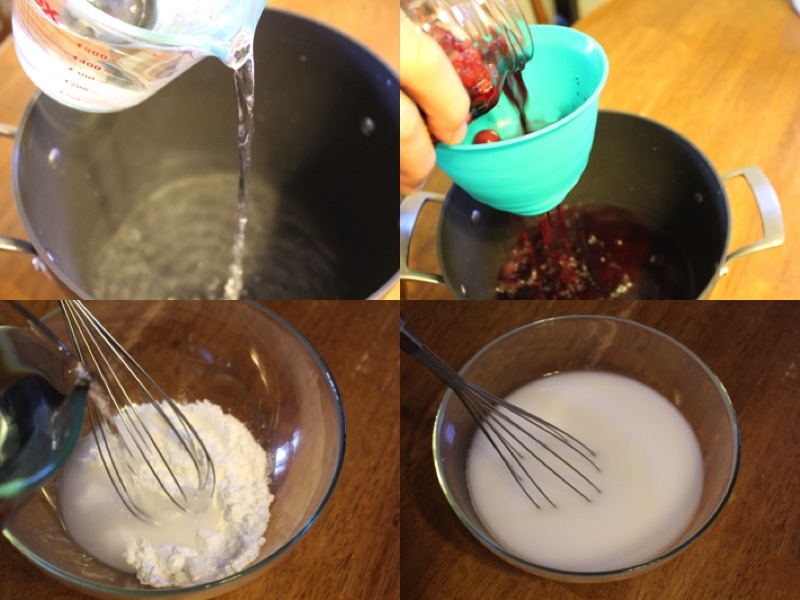 Pour potatoes starch in pan with cherries. Mix well. 5.) Boil for 8 minutes, add sugar mix again. Turn off, cool and pour into a pitcher. 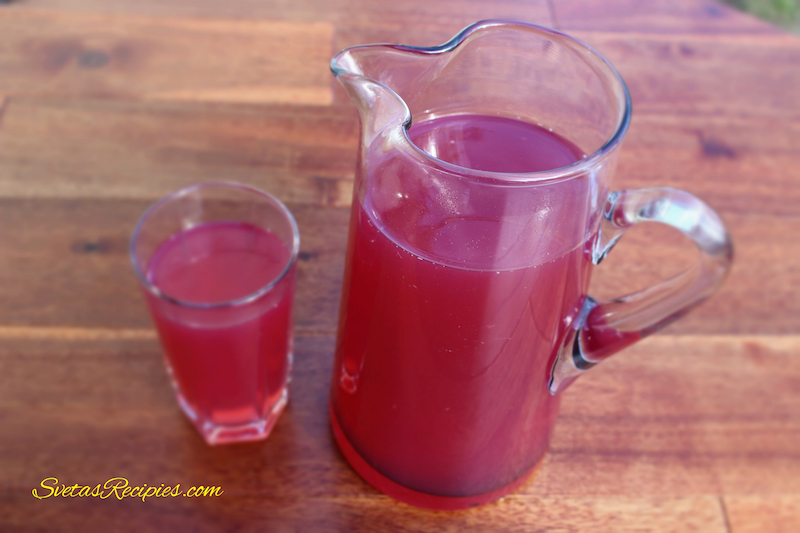 A great homemade juice that will give popular juices a run for their money, including juicy fresh cherries from a local super center and a bucket of tastefulness. As much as i enjoy making homemade Kompot, I love kecil even more. You can also so another version at alyonascooking.com ! 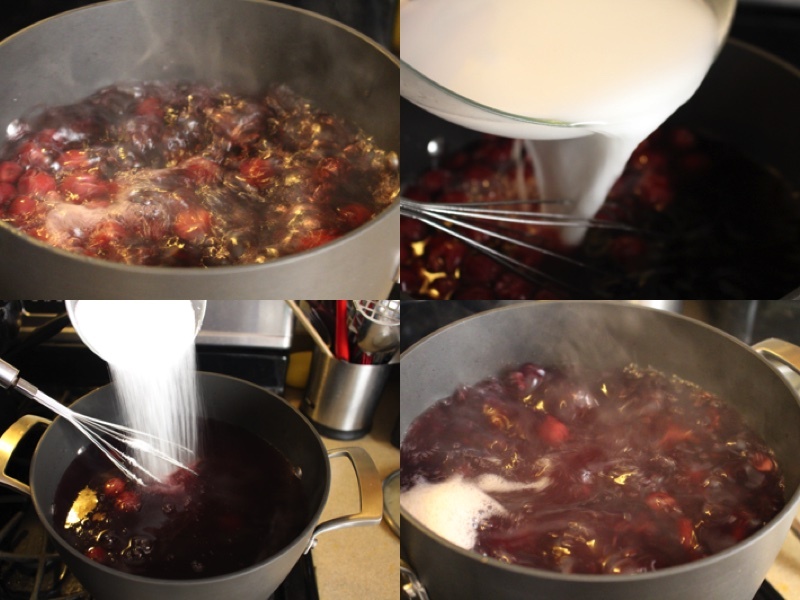 Place cherries into a saucepan. Add water to the sauce pan. Cook to boiling temperature. Reduce heat to low. 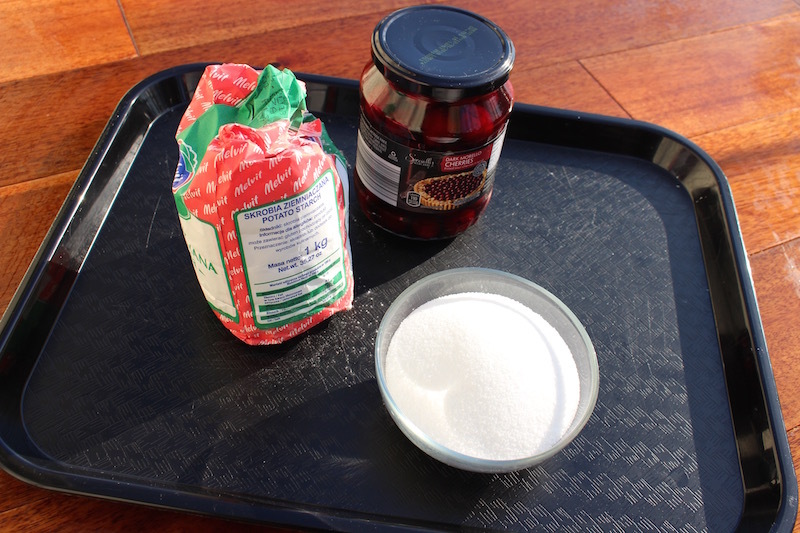 In a bowl add potatoes starch and water , mix together well until starch is dissolved. Pour potatoes starch in pan with cherries. Mix well. Boil for 8 minutes, add sugar mix again. Turn off, cool and pour into a pitcher.